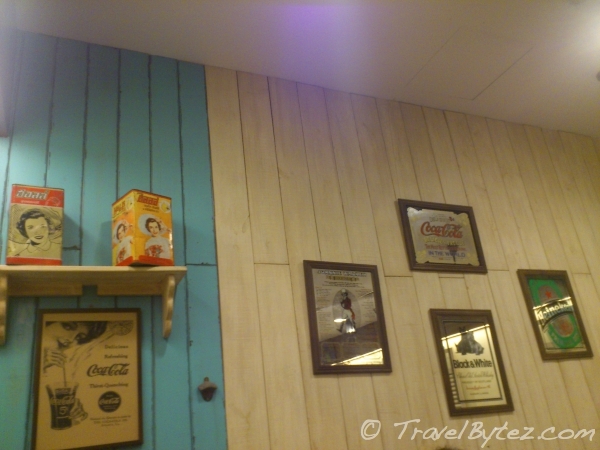 Tucked away in the basement of Tampines Mall is this retro looking café that serves signature Malaysian styled dishes. 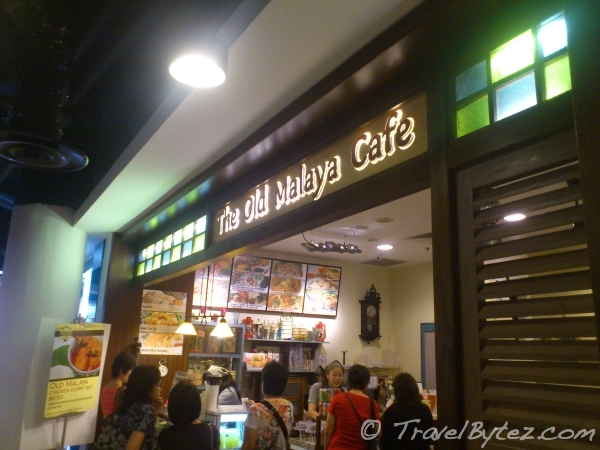 Although similar to Singapore food, dishes served at this café are Malaysian influenced and feature some signature dishes from different Malaysian towns such as Penang’s famous assam laksa (a noodle dish served with sour seafood soup) and Malacca styled chicken rice balls. 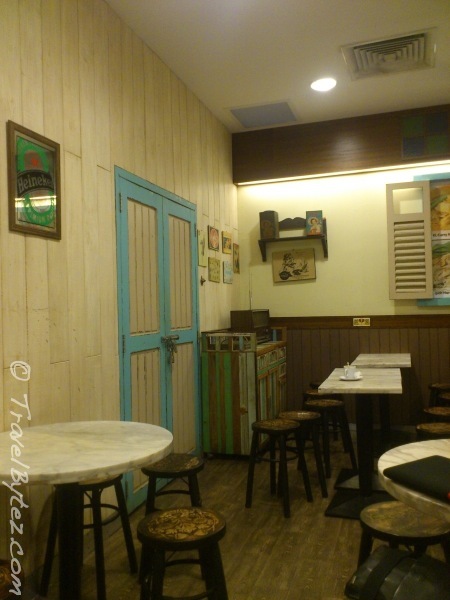 Most dishes range from S$3-5 and the décor of the café brings you back to the 60-70s with its retro furniture of wooden chairs and marble tables, with antique displays. Only cash is accepted. For aficionados the food served might not be that authentic, but it is as authentic as you can get without having to travel all the way to Malaysia. Once you step into the café, you are transported back into time (especially if you sit further in, obscured from the hustle and bustle if the shoppers outside). 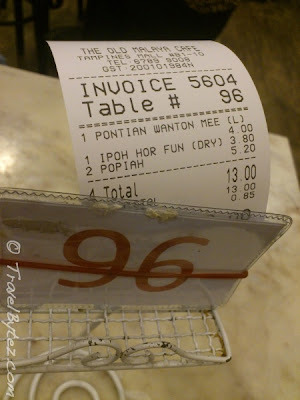 The ordering system is unique and similar to Prata Wala (but the service is much faster) where you place your order, pay and are given a number. You head to your seat and wait for your food. We ordered the Pontian Wontan noodles, Ipoh Hor Fun, and two pieces of popiah. The food took less than 10 minutes to arrive and tables were efficiently and promptly cleared once patrons left the café. 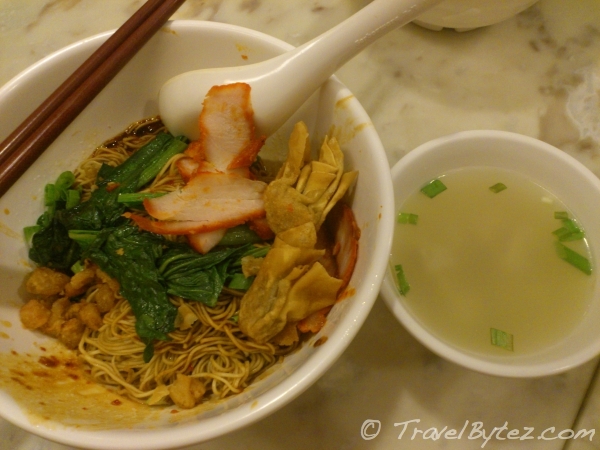 The Pontian Wontan noodles come in 2 sizes (small and large), I had the large version and the noodles were a little too much (perfect for the very hungry). 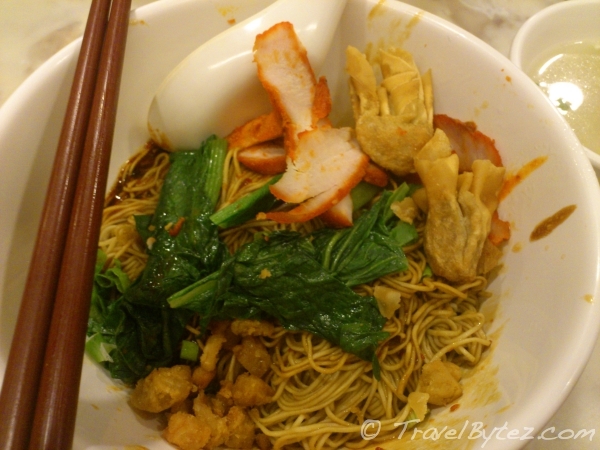 Usually when you order wontan noodles, especially the dry version you either get the fried or the soup wontans. 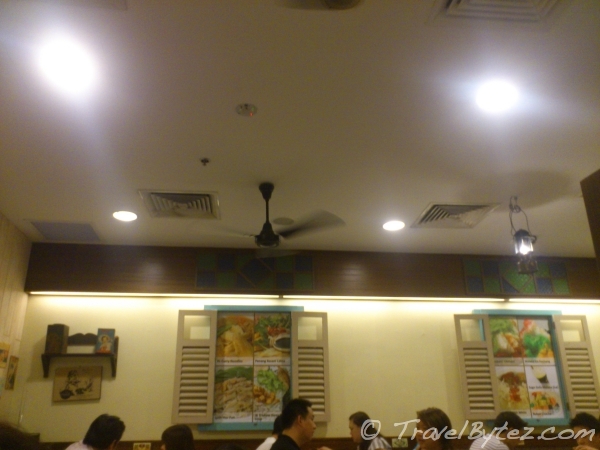 But at the Old Malaya Café you get both the fried and soup wontans! 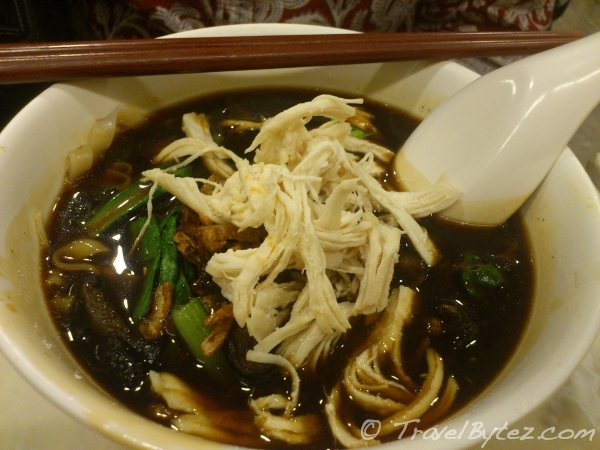 The (dry) Ipoh Hor Fun was flavor and not salty. 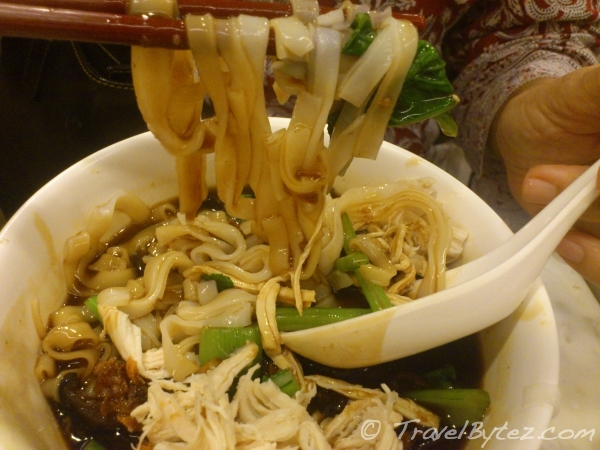 The hor fun (flat rice noodles) were not overcooked and the ingredients, as well as ingredients nicely complemented each other. The popiah took a little longer to arrive, but it was worth the wait. 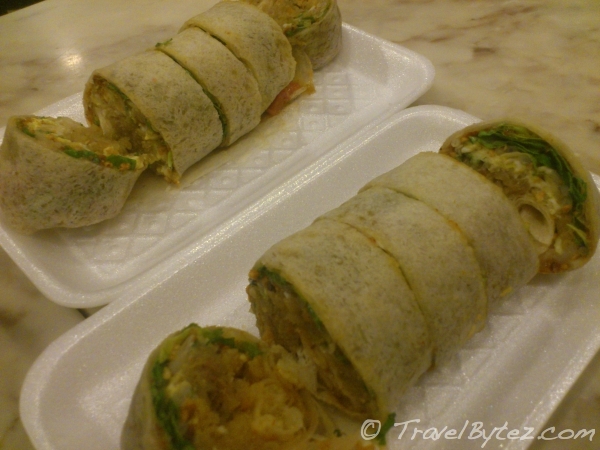 The popiah skin was nice and soft, which made it a delight to chew. The ingredients (e.g. Chinese parsley, garlic, peanut bits, sweet sauce etc...) gave the popiah a light and refreshing taste, different from the Singapore version. 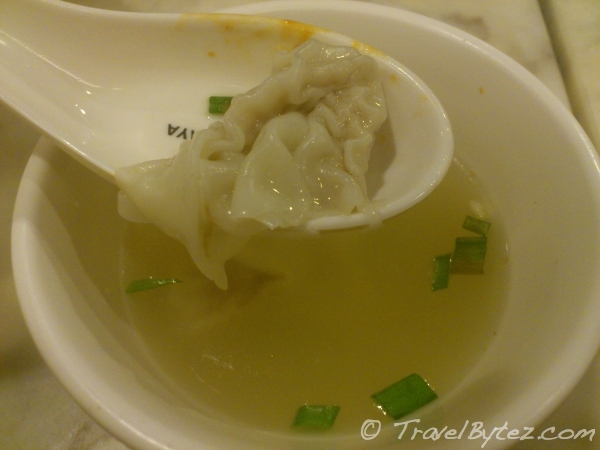 I am definitely going back again to try the other dishes; especially the chicken rice balls which not only looked interesting but also delicious!.